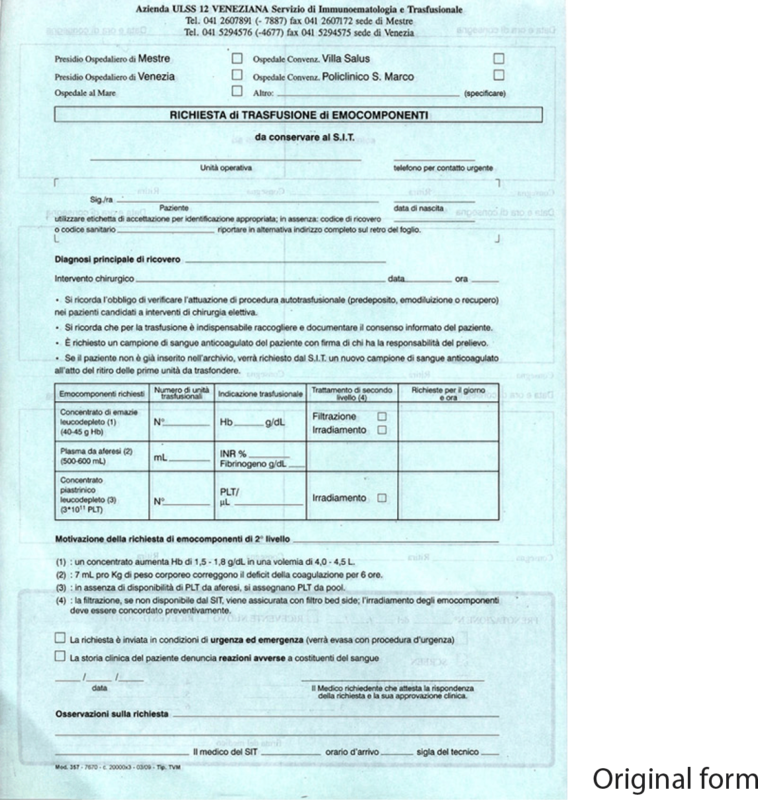 The Mestre Hospital needed to re-design the blood transfusion request form. The project aimed at developing more effective and user-centred solutions, in a field where efficiency and accuracy are crucial for the life of many people. 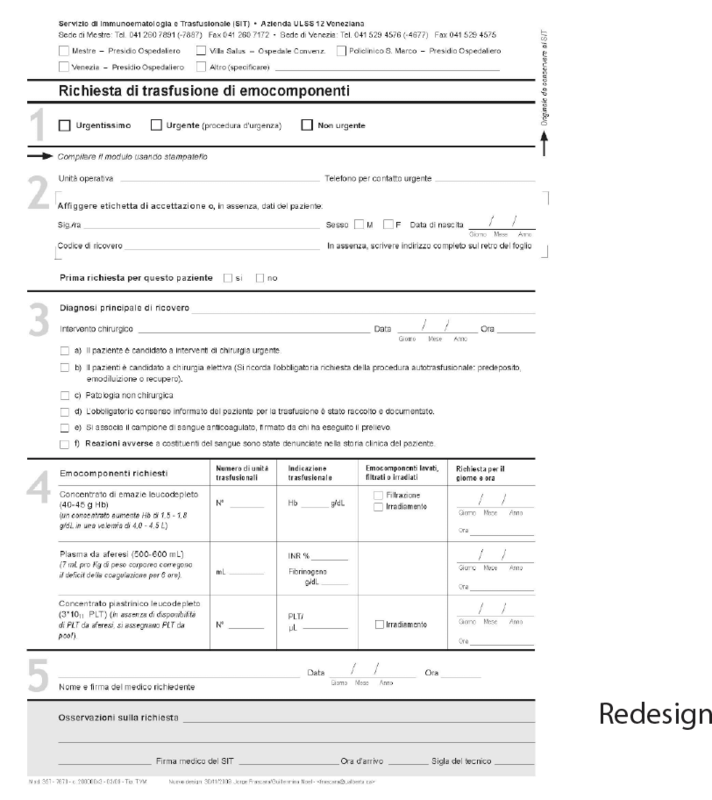 Inappropriate form design leads to fatigue, frustration and errors. An initial analysis of the existing form showed: lack of clarity and completeness of information and requests; ambiguity; inadequate sequence and layout; visual and textual “noise;” lack of guidance about how to fill the form; and buried important information, among other issues. 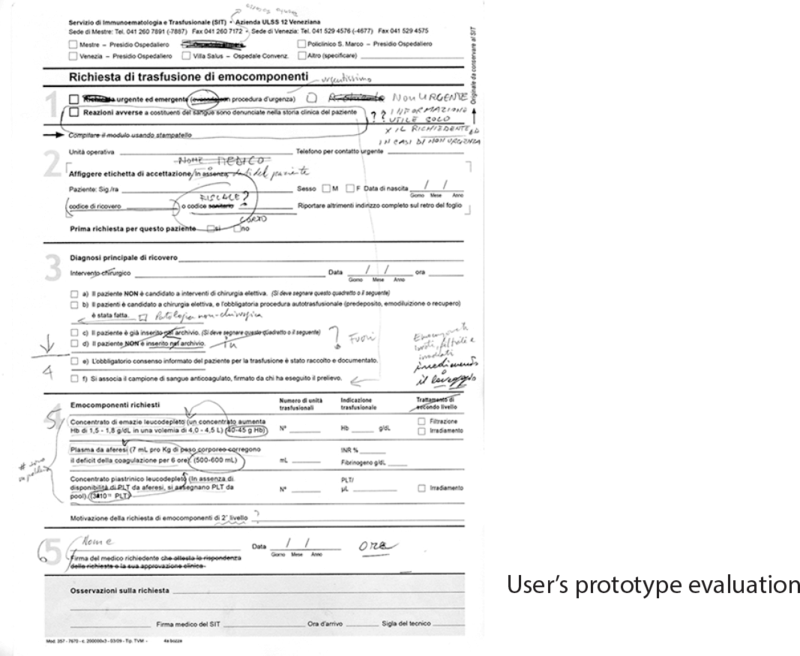 Interviews with users and producers, and the design and testing of 8 prototypes helped us define the performance specifications and produce the new design to facilitate to reading all texts; finding any specific information; following the requests properly; filling in all the items; transcribing the information; and confirming that procedures have been properly followed. Fifty-two modifications were done to reduce the users’ cognitive effort, making their job more efficient and error free. More information can be found in Information Design Journal.